Loving That Royal Love Fest! — Denise Crawford, a court stenographer from Brooklyn, quoted in The New York Times. It was an ostentatious (i.e., over-the-top, obscene) display of wealth and power. And by God, it was wonderful! I know the cynics will say that the $45 million price tag — the kazillions spent on flowers and on clothes and jewelry worn for a few hours — was an obscene display of wealth and power in a world where billions are starving. 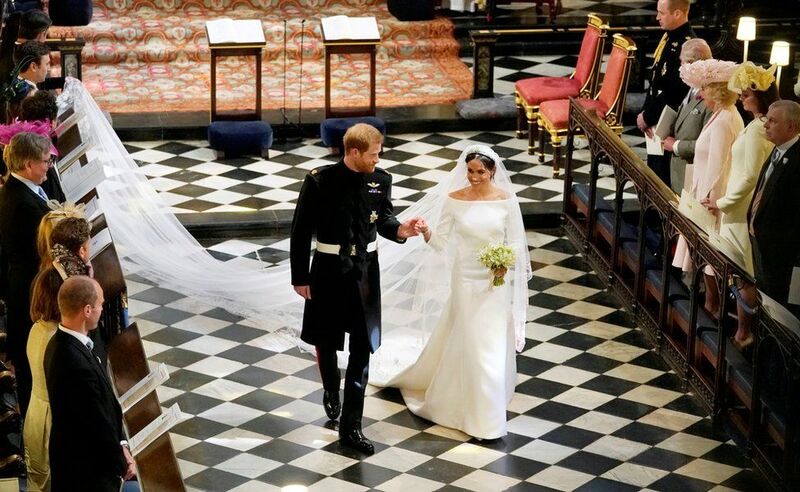 I say that no amount of money could buy the celebration of love and beauty that brought so much joy to 2 billion people around this bloody world Saturday with the royal wedding. A picture of modern love, complete with racial harmony. I look at it this way: nobody got killed. Unlike in Santa Fe in my beloved Texas, where an act of hate the day before the wedding has caused so many of us heartache and so much suffering of those directly affected. 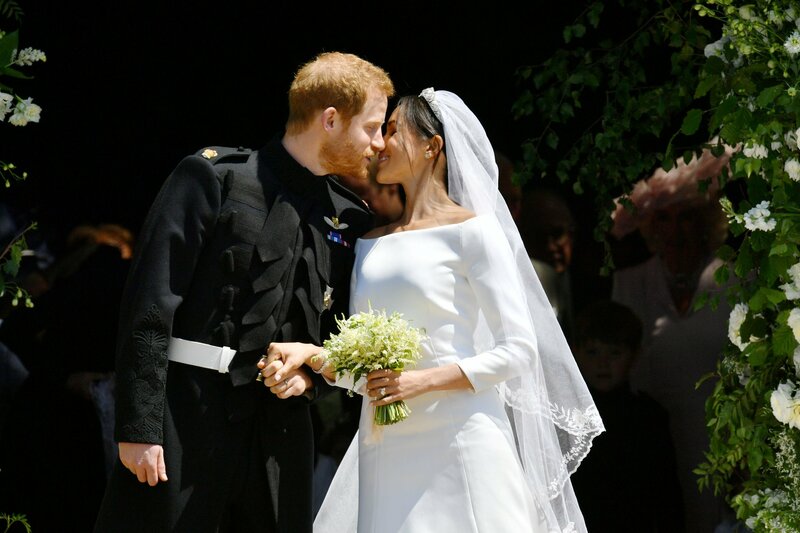 For a few much-needed hours Saturday, the royal wedding was one of those “God moments” that the world desperately needed. Concerning the concern for the billions of poor and powerless of the world, this younger generation of royals — including Prince Harry and the Meghan Markle — were working overtime in their lives to make this world a better place long before they met. One of the multiple reasons that Harry and Meghan connected and promptly fell in love was that they both were humanitarians with a shared vision of a more loving, peaceful and grace-filled world. They were two people who, like a groundbreaking young princess bride named Diana, put love, compassion and money into action. 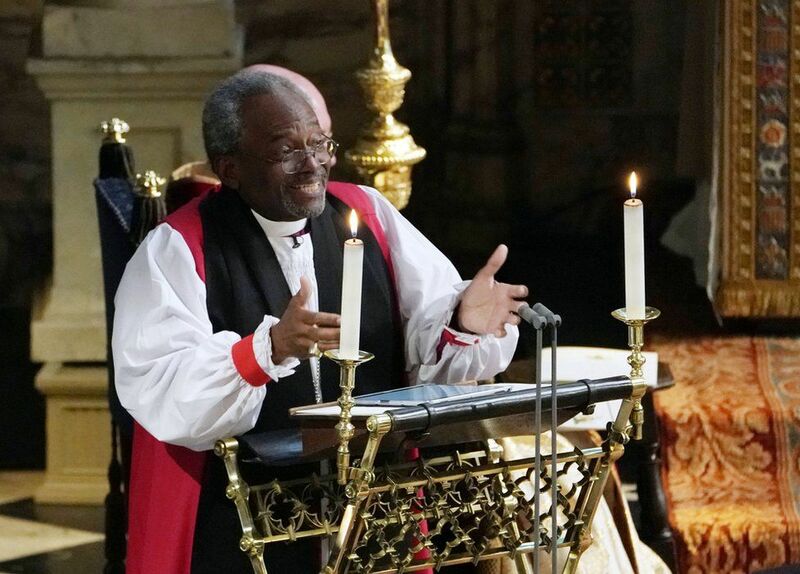 There’s a reason the royal couple picked a Christlike social justice fighter, the American Episcopal Church leader Michael Curry, to give the sermon. And Holy God, the African-American bishop, a member of the world Anglican Communion, delivered with a universally acclaimed 13-minute sermon that instantly made his name as universally known as an Anglican bishop from Africa named Tutu. Bishop Curry was already on his way to becoming the best-known social justice and civil right warrior (along with the Rev. Dr. William J. Barber of North Carolina) in America. As an advocate for the poor and powerless of the world, I have to say that all the beauty, all the soulful American music as well as classical music, all the messages spoken, and all racial harmony and inclusiveness and good will fostered at such a peaceful event, was worth every gold coin invested in it. Everything about it, no matter how modern or how ancient and traditional, was done in perfectly good taste. And good taste, like love and peace and harmony, has been declining for quite a long time in America and the world. 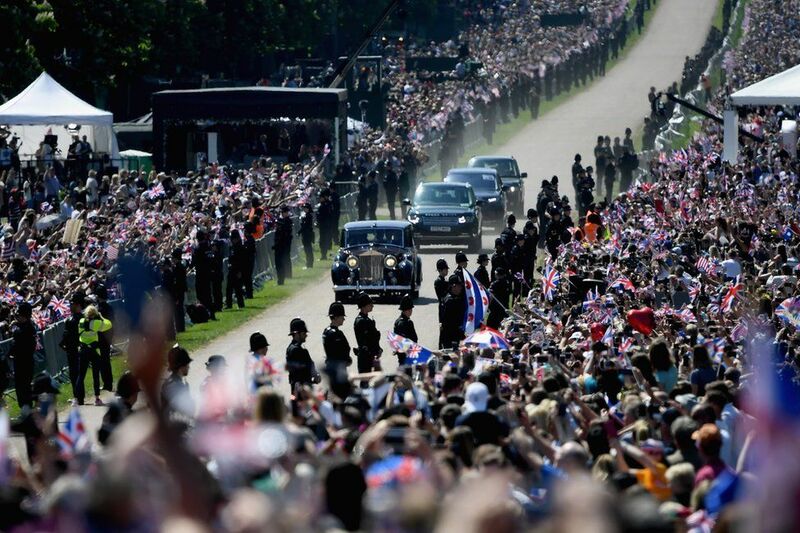 Now THAT was a crowd the likes of which no one in American politics or TV evangelism could ever draw. “Love is not selfish and self-centered. Love can be sacrificial. And in so doing, becomes redemptive, and that way of unselfish, sacrificial, redemptive love, changes lives. “And it can change this world. If you don’t believe me, just stop and think or imagine. Think and imagine, well, think and imagine a world where love is the way. “Imagine our homes and families when love is the way. Imagine neighborhoods and communities where love is the way. Imagine governments and nations where love is the way. 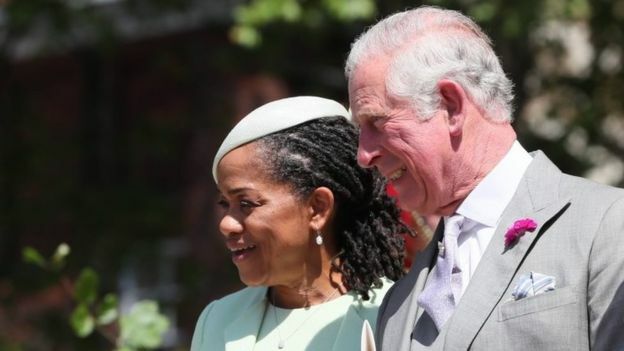 Princess Charles and Meghan Markle’s mum Doria: Two people from two vastly different worlds and cultures. “Imagine business and commerce when love is the way. Imagine this tired old world when love is the way, unselfish, sacrificial redemptive. “When love is the way, then no child will go to bed hungry in this world ever again. When love is the way, we will let justice roll down like a mighty stream and righteousness like an everflowing brook. When love is the way, poverty will become history. “When love is the way, the earth will be a sanctuary. When love is the way, we will lay down our swords and shields down, down by the riverside to study war no more. “When love is the way, there’s plenty good room, plenty good room, for all of God’s children. “Because when love is the way, we actually treat each other, well, like we are actually family. “When love is the way, we know that God is the source of us all and we are brothers and sisters, children of God. Please do yourself a favor and read or watch the whole sermon here. And a great American Motown soul song, Stand by Me,” to follow it up.